Junior Michael Ferrier rehearses ahead of the Searcher Records showcase Friday. Student musicians may seem few and far between on campus, but this weekend a group of four will come together for a show featuring a diverse range of acts. Singer-songwriters Marianne Khattar and Michael Ferrier, and student bands Smith Gardens and The Standard Issue will all perform together at a showcase Friday at The Pinch. The show will be hosted by Searcher Records, GW’s first student-run music label launched in 2015. The four acts will each have their own 30-minute set starting at 8 p.m., and in between performances, student DJ Bible Belt will man the DJ booth for 10 minute intervals. The genres will switch from surfer rock to R&B, pop and soul with each artists. Tickets cost $8 for students and $10 for general admission. 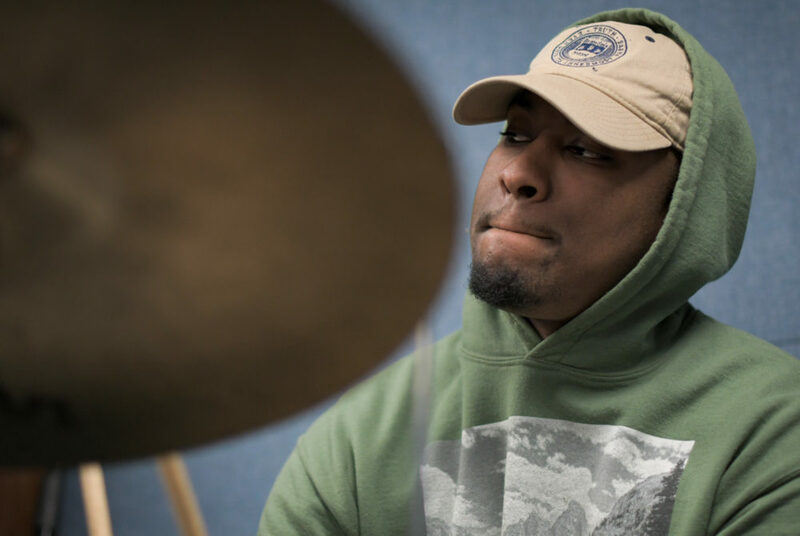 Khattar, a junior majoring in music and communication, will perform a set Friday that takes from all kinds of music, singing jazz-influenced R&B and soul. She became involved with Searcher Records when she opened for one of their showcases, and soon she became a key part of the student organization. Through Searcher Records, she said she connected with the other student music groups on campus that widen her perspective. “It’s not really the access to the gigs, it’s really the access to performing with different people from very different types of bands, grades and majors that all have the same love of music,” Khattar said. Khattar said because GW is a school that focuses heavily on politics, the music scene on campus is underrated. 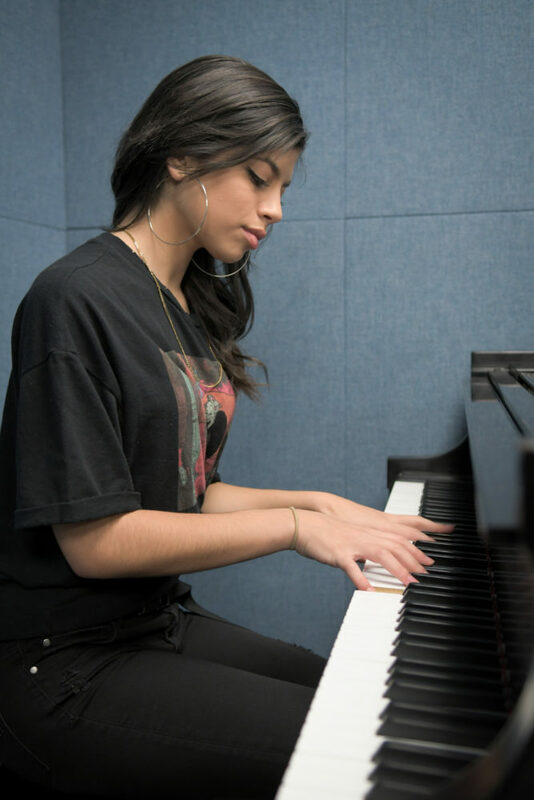 Marianne Khattar, a junior majoring in music and communication, plays the piano to prepare for her Friday show. Khattar recently sang background vocals, alongside her friend and musical partner Michael Ferrier, for rapper and GW alumnus Cautious Clay during an NPR Tiny Desk Concert. “It was a pretty surreal experience,” she said. Looking forward, Khattar said she intends on going “full-send” on pursuing a career in music. Zach Blankstein, a sophomore majoring in music and communication, is another student playing Friday who hopes his band, The Standard Issue, will cross into success just a year after forming. Blankstein plays guitar in a four-person ensemble alongside two other students who study jazz. The funk and R&B quartet has an affinity for blending “tight musicianship” with pop melodic elements, he said. Blankstein said he also feels very close to fellow musicians, Khattar and Ferrier, and they often support each other on billings for shows around the city. Sometimes Ferrier will rap to the band’s set, and the band has also accompanied him on stage during his performances.